Who Should Attend a Deposition? During a deposition, the conference room generally holds only the deponent, examiner, deponent’s counsel, and the court reporter. Other attorneys may be present, depending on the case. 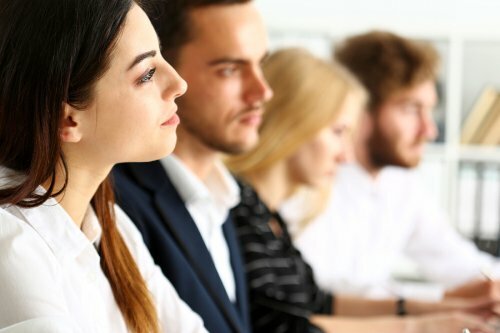 Legal depositions aren’t generally entertaining affairs that attract eager viewers, but in some cases, it may be appropriate to rent a larger conference room in Palo Alto, California, to seat additional people. If there is a language barrier, it is necessary to have an interpreter present. Ideally, that interpreter should have extensive experience working in legal settings, and he or she should have general knowledge of industry-specific terms that may come up. It’s also a good idea to have a videographer present to capture a visual record of the deposition. The examiner may decide to have a portion of the video recording admitted into court as evidence to be shown to the jury. Less commonly, an expert or consultant may attend the deposition. They may be asked to lend their expertise on particularly technical subjects. If the presence of a consultant is not desirable, the attorney may suspend the deposition and request a court order to exclude the unwanted party. Video conferences are changing the way people do business. 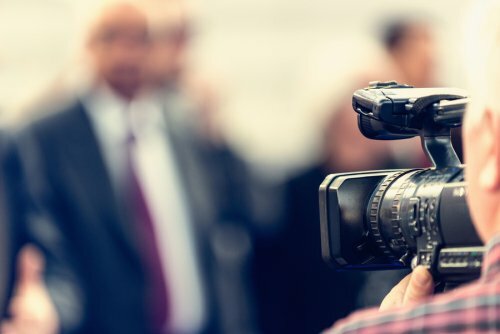 From lawyers using video conferences for depositions to companies using video conferences instead of hosting business trips, video is connecting people like never before. If you are considering conducting a video conference in Palo Alto , you’re likely to have some questions about what to expect. Here is what you need to know. When should I consider using video conferencing? Any time you need to have a meeting with someone out of town, you can replace the physical meeting with a video conference. Video conferencing can be used to connect a large number of meeting participants who are scattered around the globe, or it can be used to simply connect two people for a discussion. Video conferences can be used for business meetings and for depositions, if you follow legal guidelines for recording the deposition. Your court reporter can help you set up your deposition appropriately. Video conferencing is both cost-effective and convenient. By conducting a meeting via video, you can avoid all of the expenses involved with traveling, from airline tickets to hotel fees and food. When you host a conference with people in many different locations, that can add up to significant savings for your business. You can also avoid the wasted time involved in traveling for a single meeting. Simply log on, conduct your meeting by video, and get back to your usual activities. What should I consider before I have a video conference? Before you have a video conference, you will need to ensure that you have an appropriate location with adequate audio and visual tools. 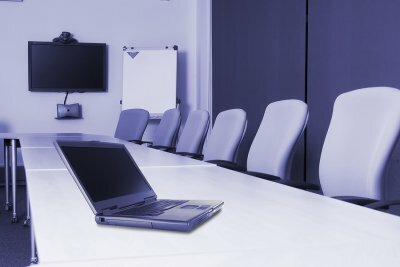 Your standard computer mic and camera will usually not be sufficient, so you may wish to consider renting space in a dedicated video conferencing room staffed by professionals who can ensure that your conference goes smoothly. Synchronized video transcripts combine the power of a visual image with transcripts of a proceeding to make an impact on juries and opposing counsel alike. Having the ability to view testimony taken by video conferencing combined with the legal transcript can also make it easier to prepare for your case. A court reporter can create a legal transcription of video testimony that can be synched with the image for easy editing. With synchronized video transcripts, you can easily highlight important information, add annotations, and flag statements. Because synchronized video transcripts can be prepared in just a few seconds, you can also use the technology to impeach witnesses in real time. Let Pulone Reporting Services walk you through the technology we can provide to make your cases more effective, including legal transcription and synchronized videos. You can schedule a meeting with a court reporter in Palo Alto, California today by calling (408) 280-1252. Video conferencing is transforming the way that legal practices handle their cases. Watch this video, which discusses how video conferencing is changing education, to find out some of the benefits of these remote conferences. Video conferencing allows meetings to occur over long distances without traveling. For legal practices, video conferencing makes it possible for depositions to happen with remote witnesses without the expense and inconvenience of traveling. It can also allow lawyers in different locations to collaborate on cases with ease. At Pulone Reporting Services , our skilled court reporters in Palo Alto, California are trained in video conferencing solutions and can assist you in setting up a conference room and other tools you will need for remote depositions. To learn more about our services, please call (408) 280-1252. Court reporters can be extremely helpful in a wide range of circumstances—they are able to provide accurate transcripts of meetings and legal proceedings, they can read back any dialogue that’s taken place, and they can provide a record of any proceeding as soon as it has concluded. If you are considering hiring a court reporter in Palo Alto, California, but are unsure of how to interact while he or she is on the job, continue reading for a few tips on proper interactions. Before the proceedings begin, introduce yourself to the professional court reporter. This is also a good time to inform the court reporter about specific terms that may come up during the proceedings. For instance, if there will be expert witnesses who may use technical terminology, let the court reporter know this and provide a list of the terms that may be mentioned. While court reporters have extensive training that allows them to accurately record any proceedings, they cannot record the speech of more than one person at a time. Avoid interrupting and speaking over other parties, and be sure to allow others enough time to finish speaking before you begin. Speak clearly and at a normal pace. Ask that witnesses state and spell their names so that the court reporter can record them accurately. Court reporters are trained to record spoken words, so the record they provide may not capture all of the non-verbal communications during a proceeding. Be sure to verbally confirm and clarify unspoken communications, such as gestures, nodding, and pointing. This way the court reporter can provide you with an accurate and complete record of the proceedings. If you make a verbal mistake, be sure to withdraw it as soon as possible so that the record can be updated. Similarly, if certain interactions are off the record, such as a sidebar conference, be sure to let the court reporter know that this is the case, and indicate when the proceedings go back to being on the record. With video conferencing solutions in Palo Alto, California, you can simplify and expedite business meetings or legal proceedings. However, it is important to prepare for a video conference to avoid simple mistakes that could derail your meeting. Be ready for your video conference a few minutes early so that you can ensure all of the audio and visual connections are ready to go on your end. Be sure that there is a reliable internet connection in your location, and close the blinds on any windows in the room. Consider using a headset with a microphone for the clearest communication. You may want to look into using a professional video conferencing service or conference room rental that provides all of the technology you need to ensure that your meeting is professional, effective, and enjoyable. Can Board Meetings Be Legally Recorded? There are many advantages to recording board meetings, whether all of the attendees are present in person or the meeting utilizes video conferencing. However, is it legal to do so? 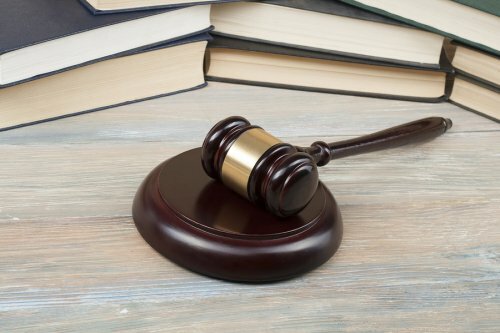 Here is what you need to know about the legality of recording board meetings and video conferencing in Palo Alto, California . California law does allow board meetings to be recorded. Board meetings are inherently public, under the Common Interest Open Meetings Act, so there is no expectation of privacy. During a video conference, there is a reasonable expectation that the proceedings could be recorded, so there is no legal concern about recording the meeting, even if the participants were not officially notified of the recording. 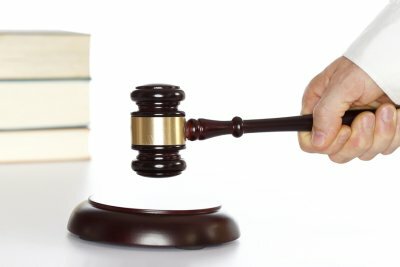 California law allows any proceeding to be recorded unless there is a specific reason that the conversation is protected by law. For this reason, video conferencing solutions that incorporate recording are useful ways to create records of board meetings that all participants can reference as needed in the future. Is Your Firm Using Video Conferencing Yet? Video conferencing technology is revolutionizing the way people do business in the legal industry and beyond. If your firm is not using video conferencing solutions in Palo Alto, California yet, you could be missing out on an important way to operate more efficiently and cut your expenses. With the right video conference partner, the benefits to your company could be significant. Here is what you need to know about getting started with video conferencing and making it work for you. When you’re ready to start video conferencing, instead of trying to figure it out in-house, look for an experienced partner. By choosing a video conferencing facility with the right conference rooms and technology, you don’t have to worry about investing in additional equipment or learning new software. Look for a video conferencing partner who offers high-quality video and plug-and-go solutions, as well as support to help you use the technology in the best way for your company’s needs. 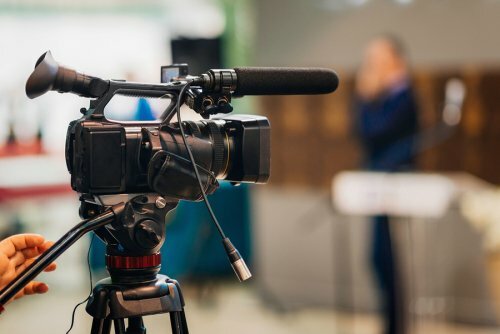 The legal industry in particular can benefit from choosing a firm that also specializes in legal videography, to ensure that all the proper practices are followed when videotaping is needed. During your first video conference, it can take a little time to adjust to the format. Fortunately, it will quickly feel natural. Be sure to speak clearly and allow for slight delays in responses that can occur over the connection. It’s important for people to speak one at a time in a video conference, even more so than in person, because confusion can occur otherwise. Video conferencing puts the world within easy reach of your business. Instead of traveling to hold meetings, conduct them via video conference and save a significant amount of money on travel expenses. 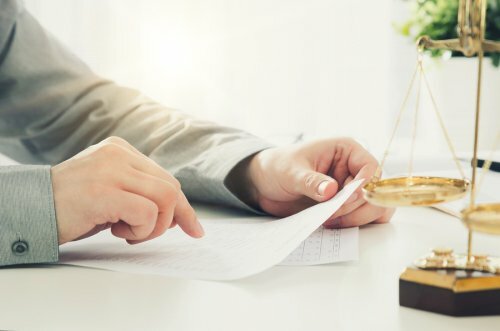 They also allow attorneys to conduct depositions with out-of-town witnesses with ease, while using the court reporting services they are used to relying on. Additionally, video conferencing allows for face-to-face conversations that are more effective than emails without the inefficiencies and expenses associated with travel.